TECHNICAL SPECIFICATIONS Owner: Ministry of Sport of the Russian FederationArchitect: PI-ArenaCapacity: 45,000 seatsDescription: this design involves a semi-transparent facade that can be lit up at night. 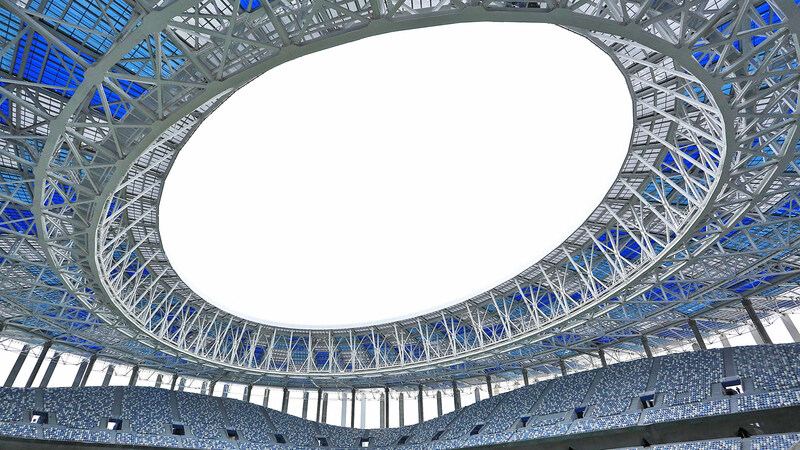 The stadium roof is a tensioned cable net structure involving a central tension ring, connected to concrete columns along the perimeter of the stands by lattice trusses. The lobby area is also covered with radial lattice trusses which terminate on a perimeter ring resting on the top part of façade.